Making the game of golf more accessible and welcoming to women. When a group of ladies, some who had never met before embarked on a destination golf vacation nobody expected to leave with lasting friendships. But that is exactly what happened for our group of ladies when we travelled from Halifax to Grand Bahama this past April. Golf is what brought us there, but we left with so much more! I would accompany them as their golf pro helping them navigate the picturesque golf course and offering tips when called upon. Many of the ladies had only taken up the game last year, while a few others had been playing for a while. We were so fortunate to be playing golf against the most beautiful backdrop that we decided as a group that scores were not important. Our golfing group was comprised of women of all ages – from the 30 somethings to very active 70 somethings. We were connected by the golf, but soon bonded over our shared experiences. That is the power of golf. Golf has a way of creating a community of people and the hours you spend on the course can be valuable relationship building time. As we played golf we opened up about our careers, family, travels and laughed a lot. This spilled into our social time, dinners and lazy afternoons by the beach. Leave it to the experts. We were fortunate to have a professional travel expert plan our trip, research the resort and answer our questions. We were treated to many upgraded features that made our experience even more memorable. Research golf fees. Ensure all golfers know what the prices will be at the golf course so there are no surprises. Ideally, find a resort that includes golf in the overall price. Don’t be shocked by cart or caddie fees – call the golf club directly for the information. Golf club rentals and green fees can be expensive and varies by destination. Make it fun! Ensure all playing partners know beforehand that scores will not be kept. Then everyone will feel comfortable moving their ball away from obstacles (palm trees and turtles). If you wish to keep score that is fine, but don’t expect your playing partners to play by the rules. Our group planned a fun 9 hole tournament where we had prizes for closest to the pin and most bunkers hit. Plan a few social events together. This could be dinner at a restaurant, a cocktail party or drinks in the resort lounge. Here you have a chance to reminisce about the day’s golf round and make plans for your next tee time. We have stayed in contact since the trip, sharing pictures and social media updates. We have even decided that some stories are best not shared (what happens in the Bahamas…) We look forward to playing golf together this summer, but I must confess, we are already planning our next destination golf vacation. Jamaica anyone? Metro Ladies Golf Inc. shared a post. We will be closed today! It’s Sunday at The Masters!! Britain's oldest goalkeeper, 79, still plays for local club and has no plans to stop. I always have a good time at her group clinics. She uses simple language and I see results. I loved my lesson! Sara makes you feel very comfortable from the very beginning. 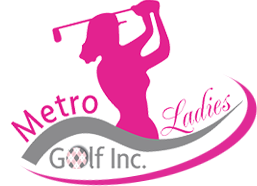 Thanks to this club, I am enjoying meeting new golfing ladies! Not many of my friends play, so I am grateful to be able to get out and play with other like-minded ladies in Halifax. Plus I am not wasting my time getting a group together. As a beginner golfer I can enjoy the game without intimidation or fear. Several scheduled tee times per week make it possible to pick and choose times and courses convenient to the golfer. It’s been a great summer of social golfing and of skill development. I look forward to next season. Thank you, Sara, for your good instruction… Over the past couple of years, my game had regressed to a point where I wasn’t really enjoying the sport as much. However, now I am striking the ball better…Thank you again. I got my clubs out of storage after 7 years. I am learning golf techniques, meeting great women and not giving into arthritis. Sara looks after everything and makes it so easy for us busy women who want to play golf.